From an exclusive meaningful rendezvous between two lovers, the Valentine’s Day will morph into an all-inclusive romantic day. It will become a universal affection day within a decade. Valentine’s Day is a universal expression of affection between two individuals. Love has no bounds; it is between two people in love, husband and wife, mother and son, father daughter, brother sister, brothers, sisters, friends, uncles, aunties, Grandpa and Grandma and any one you care about. 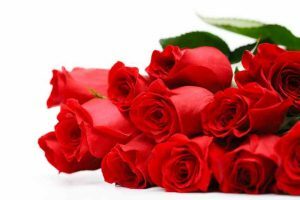 Please feel free to say happy valentine to your sister, mother, brother, daughter, dad, uncle or a friend. It is a much bigger word now than it started out to be. Take them out for dinner and send them flowers to let them know that you care if you are the only one for them at this point in life. While we Americans express it by presenting red roses to our loved ones, the Filipinos will break another record; the number of people kissing at the same time, Brazil will have another major festival on her beaches celebrating love. You are welcome to share other such expressions. On the other side of the world, a few frustrated ones with life go to the other end. The right wingers among orthodox Hindus and Muslims will start giving religious tones to it and harass the lovers. They should instead to their place of worship and seek God’s love. Sadly, some of you are going to feel lonely, if you miss the love in your life; you have an opportunity to fulfill it. There is plenty in you that you can give by feeding the homeless, visiting lonely patients in the hospitals or nursing homes, disadvantage women and children, our veterans… share whatever little you have with them including the time and just listening to them. When a homeless person asks, give whatever you can, that is the most affectionate thing to do, you will enrich yourselves far greater by sharing. Whenever the word affection comes to mind, I picture my dad and recall the way he called out my Mother’s name Khairun, it was romantic and filled with affection and I have always enjoyed the sound of it, it was simply soothing to hear. Valentine’s day is a celebration of love, while it is a meaningful day for most people around the world, it is a day of harassment and vandalism for some. They will go on the streets and destroy the stores that sell Valentine Day cards and flower stores, and if couples are in a park or even a restaurant, those bad guys will harass them as well. I hope the Government of India takes actions against these vigilantes.